Description: Sathya (Allu Arjun) returns from a coma to take his revenge on Bhai (Rahul Dev) for murdering his love Deepthi (Kajal Agarwal) and comes to know that his face has been exchanged with someone else in order to survive facial burn injuries. Just as he gets his revenge with the help of Shruti (Amy Jackson), he comes to know that there is one more gang pursuing him for his face. Whose face was given to him? Why is a gang pursuing him? Who is Manju (Shruti Haasan)? 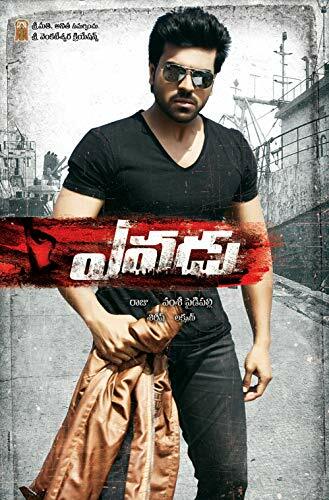 What is his connection with Dharma (Sai Kumar)?Sathya (Allu Arjun) returns from a coma to take his revenge on Bhai (Rahul Dev) for murdering his love Deepthi (Kajal Agarwal) and comes to know that his face has been exchanged with someone else in order to survive facial burn injuries. Just as he gets his revenge with the help of Shruti (Amy Jackson), he comes to know that there is one more gang pursuing him for his face. Whose face was given to him? Why is a gang pursuing him? Who is Manju (Shruti Haasan)? What is his connection with Dharma (Sai Kumar)?